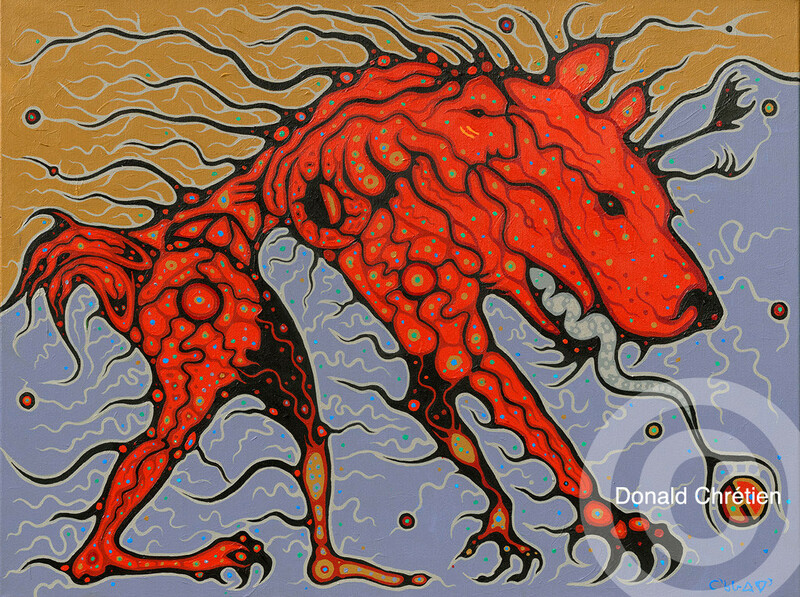 Donald’s work demonstrates his quest for an artistic expression of his Native identity, which encompasses issues of language, family, place and self determination. 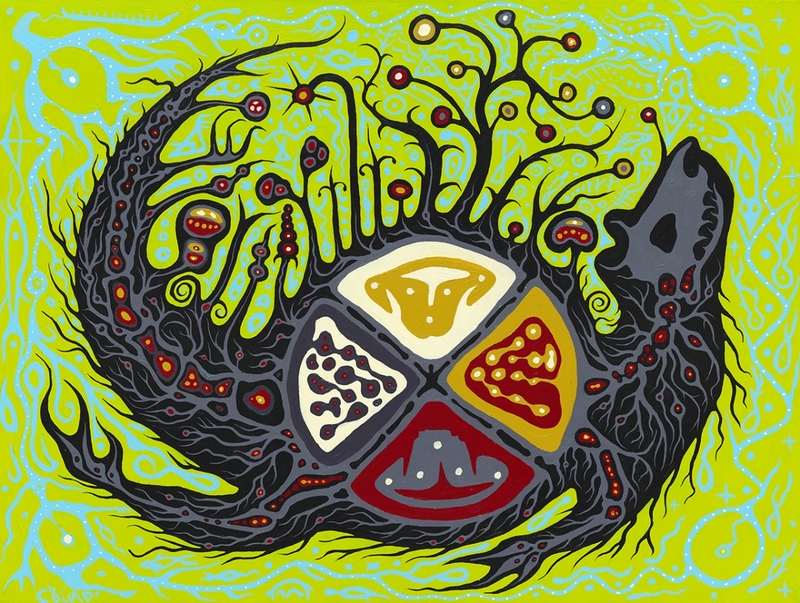 His distinctive style is influenced by the Woodland style of art common to his band, Nipissing First Nation. 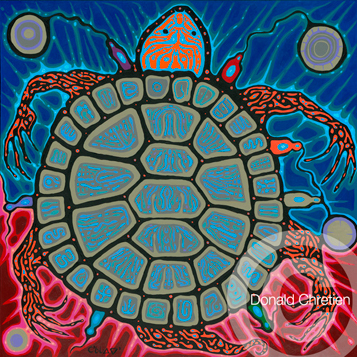 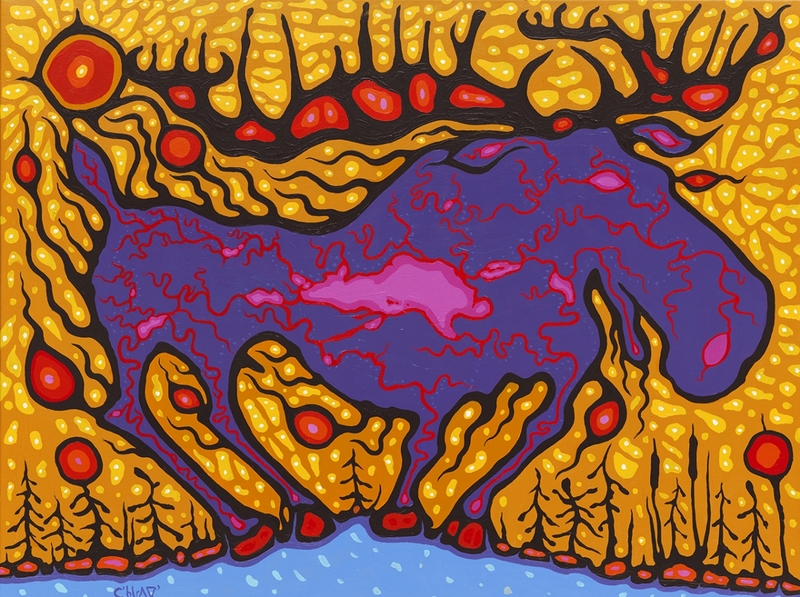 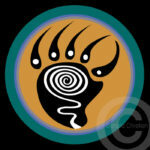 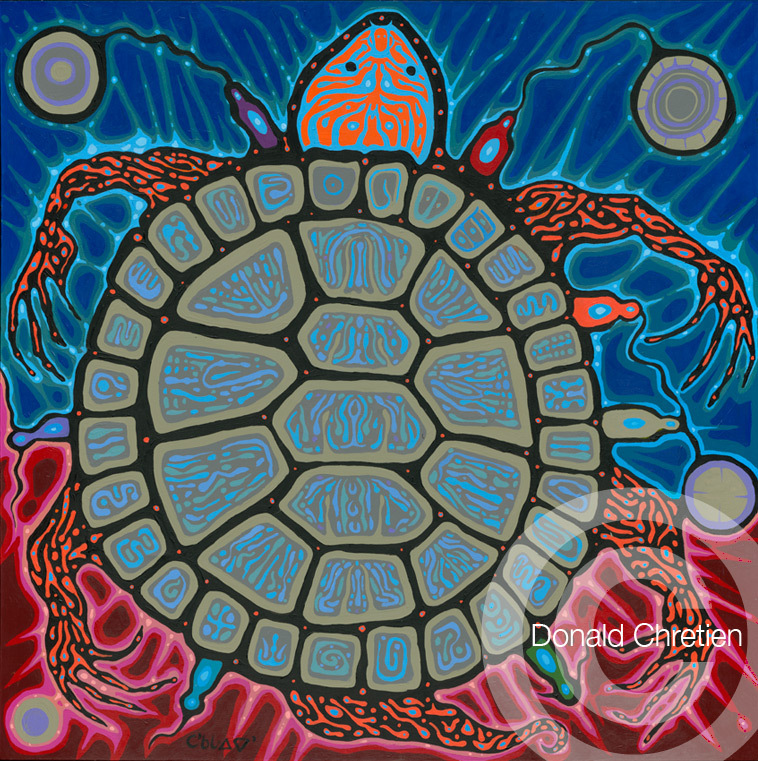 Donald graduated from the Ontario College of Art in 1985 and was selected to be part of the Aboriginal Art Acquisition Program for the 2010 Olympic Games. 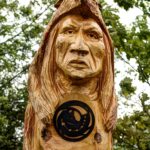 He has been fortunate to collaborate with Elder Basil Johnston on a few projects, Grey Roots Museum exhibit, “Know our story know us”, Tom Taylor Trail sculptures, in Newmarket, ON and illustrating Basil’s last book, “Walking in Balance”. 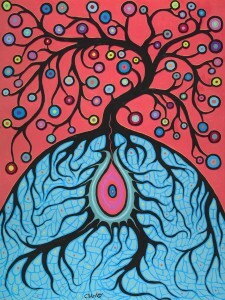 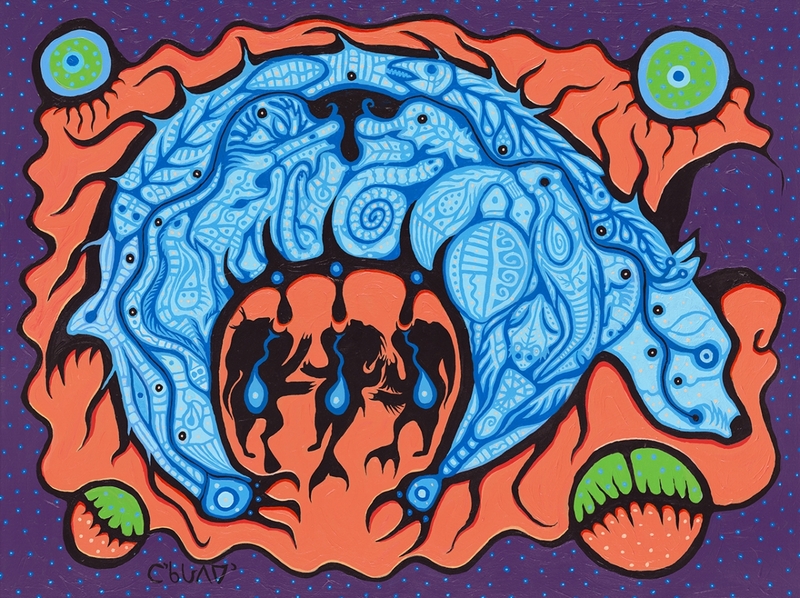 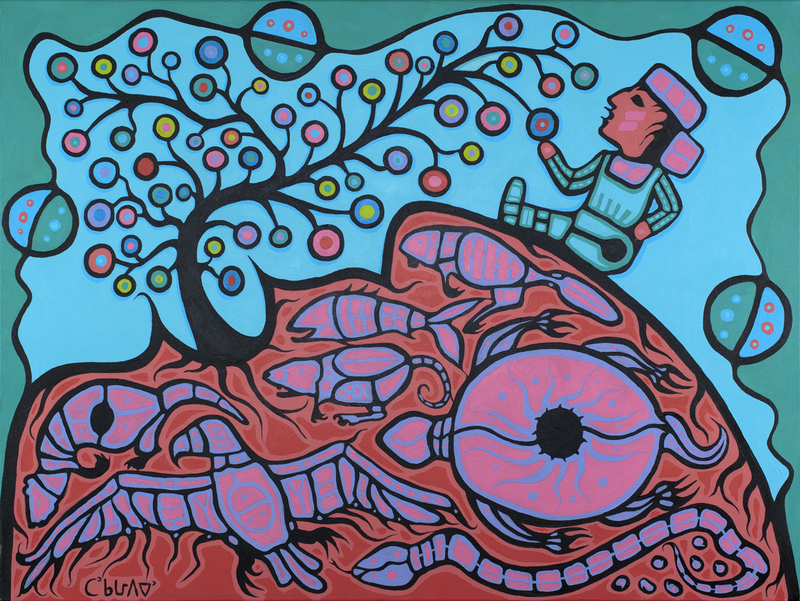 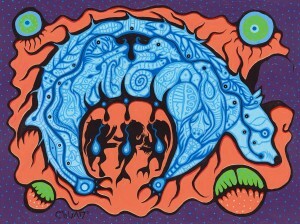 In 2016, ten of Don’s original works were purchased from the Archives of Ontario, he sculpted the” Reconciliation Tree” for the Ministry of Indigenous Relations and Reconciliation and presently works between teaching through the Ontario Aboriginal Artist’s in Schools program offered by the Ontario Arts Council., painting in his studio in Newmarket. 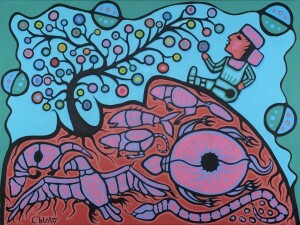 and learning on the Rez. 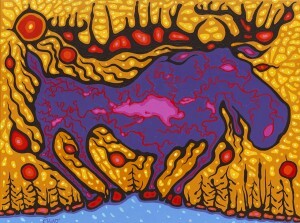 Find many more images of his work in acrylic, digital images, lithography and wood carving on his amazing ‘must see’ website. 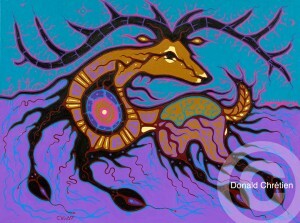 CONTACT DONALD AND VIEW MUCH MORE OF HIS WORK AT THE LINKS BELOW.